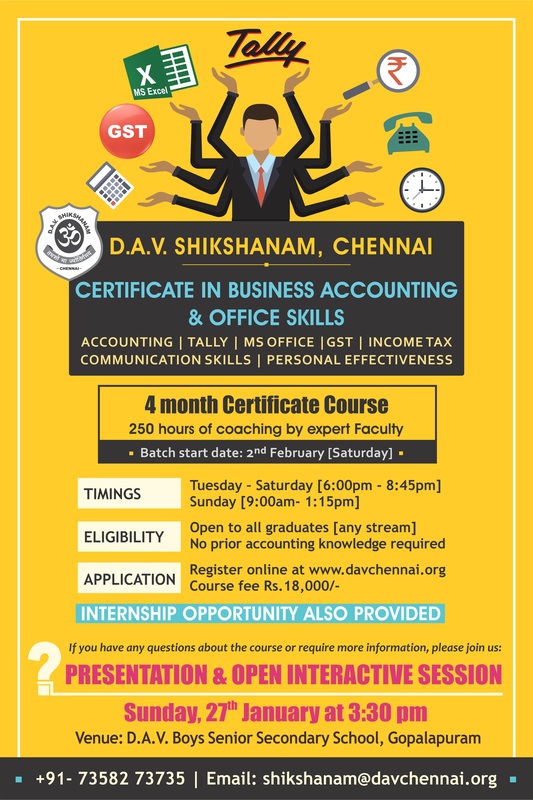 Certificate in Business Accounting & Office Skills course is a small step aimed towards addressing the huge skill gap amongst the youth. On one hand, India is staring at a job crisis, i.e. rising unemployment rates. On the other hand, there are numerous job opportunities but no skilled manpower. Pursuing our ethos of providing high quality education at reasonable cost, we intend to leverage our existing physical infrastructure to create wider social impact. This course is for anyone who has basic English communication skills (written & spoken). Graduates across disciplines who are looking for mid-tier office executive jobs, will specially find this useful with 250 hours of intense coaching by expert faculty across diverse subjects. Of course, even others irrespective of age, can attend the course for the joy of learning! There will be two kinds of candidates whom we expect to join the course – (i) Candidates who are already working in offices at mid-tier levels and are looking to upgrade their skills; (ii) Candidates who are not currently working. We will also be providing internship opportunities (only optional) for those candidates who are not currently working during the day. This will give them meaningful practical exposure in sync with theoretical learning in the classroom. We are holding an 'Open Interactive session' on Jan 27th, 2019 (Sunday) at 3:30 p.m. at D.A.V. Boys Sr. Secondary School, Gopalapuram campus. The session will help candidates understand more about the course syllabus etc. Faculty members will also be present for the session. 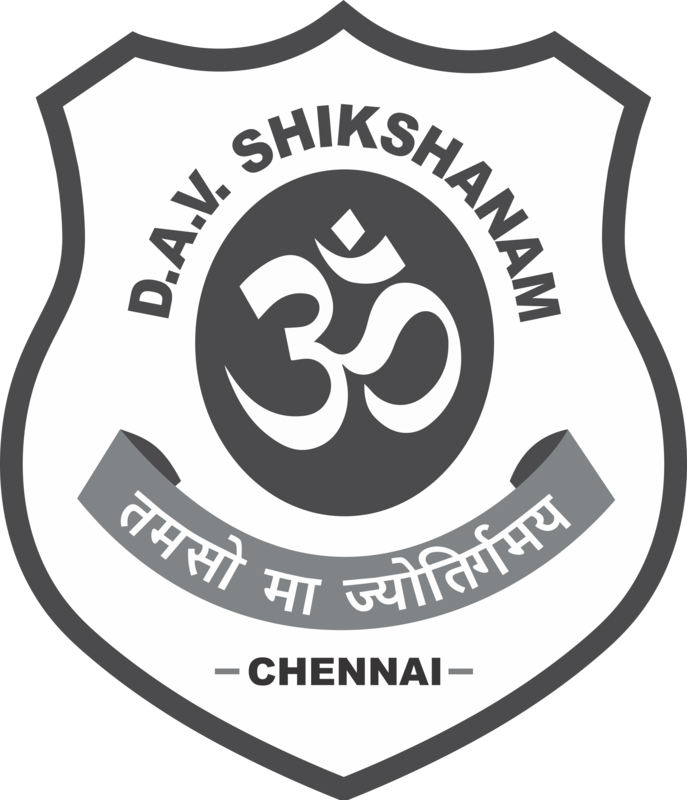 DAV Shikshanam propose to arrange internship for the candidates those who are interested. The candidates are requested to read all the instructions carefully and complete the application. Post Completion of the Online Application process, an Application Number will be generated and a PDF version of the completed form will be sent to the email id mentioned in the application. Submit the Self-attested print out of the Application Form to D.A.V. Shikshanam, 25, Conron Smith Road, Gopalapuram, Chennai 600086. I hereby declare that the above particulars are true to the best of my knowledge. If any discrepancy is found in future, I am aware that I will be held liable for it.